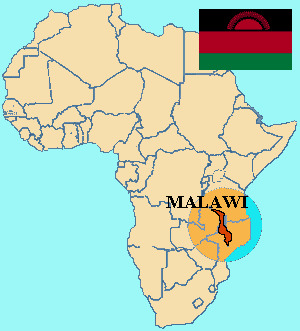 Blantyre, Malawi - Malawi President Bingu wa Mutharika's party won last week's parliamentary elections by a landslide, a mere four years after its formation, the final results from the country's electoral commission showed Monday. The Democratic Progressive Party (DPP) won 114 seats out of 193 in the lower house of parliament, against 26 seats for its nearest rival, the Malawi Congress Party (MCP) of John Tembo. Tembo was also soundly beaten by Mutharika in the presidential component of the May 19 national elections. Mutharika was sworn in as president for a second five-year term last Friday. This was the DPP's first time to contest a general election. Mutharika formed the party in 2005 after breaking away from the United Democratic Front (UDF) of his one-time backer, former president Bakili Muluzi. The two fell out over Mutharika's anti-corruption drive. Muluzi is one of several UDF officials to have been charged with graft over his time in office. Before the election, the DPP was in a minority and struggled to get legislation through parliament. It now returns with a very strong hand after scooping up dozens of seats from both the MCP and the UDF. The UDF, which won the country's first multi-party elections in 1994, took only 17 seats. Both the MCP and UDF had over 100 between them before the vote and now have less than half that. Mutharika, a 75-year-old economist, has drawn praise for boosting growth to an average of 7 per cent a year over the last three years and introducing a fertilizer subsidy that has improved food security in the impoverished hunger-prone southern African country.